"Well, it's good to go ahead and try to put us in a situation, at that point, to break up the no-hitter, to give us the lead," Granderson said. "But to not get enough to help this team win tonight, I'm a little dissatisfied because you want to put yourself in a situation where we could earn the sweep here." This Day in Dodgers History: In 1970 the Dodgers signed amateur free agent infielder Jerry Royster out of Sacramento High School. He would be traded five years later to Atlanta as part of a package for Dusty Baker, and go on to have a ten-year career with the Braves. In 1975 the Cubs pitching brothers of Rick and Paul Reuschel combine to shutout the Dodgers, 7-0. 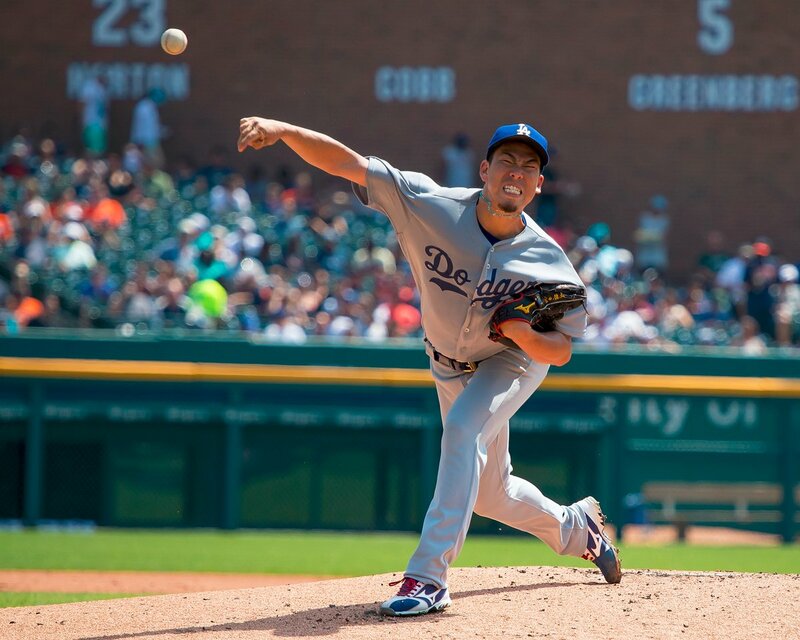 Connor Byrne at MLB Trade Rumors picks up on a report from Japan indicating that an eight person contingent of Dodger brains; including Andrew Friedman, were in Japan on Sunday to watch Shohei Otani. Per Catherine Slonksnis at MLB.com; "Kershaw improving, set for sim game Monday." 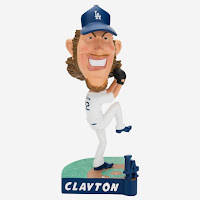 Kershaw, who has been out since July 24 with a lower back strain, threw off flat ground on Sunday with positive results following a 35-pitch simulated game on Wednesday. Manager Dave Roberts said that the next step is to have Kershaw throw three innings against live hitters in early batting practice. Per Rowan Kavner at Dodger Insider; "Notebook: Zaidi talks Granderson, Dodger outfield, Darvish injury." 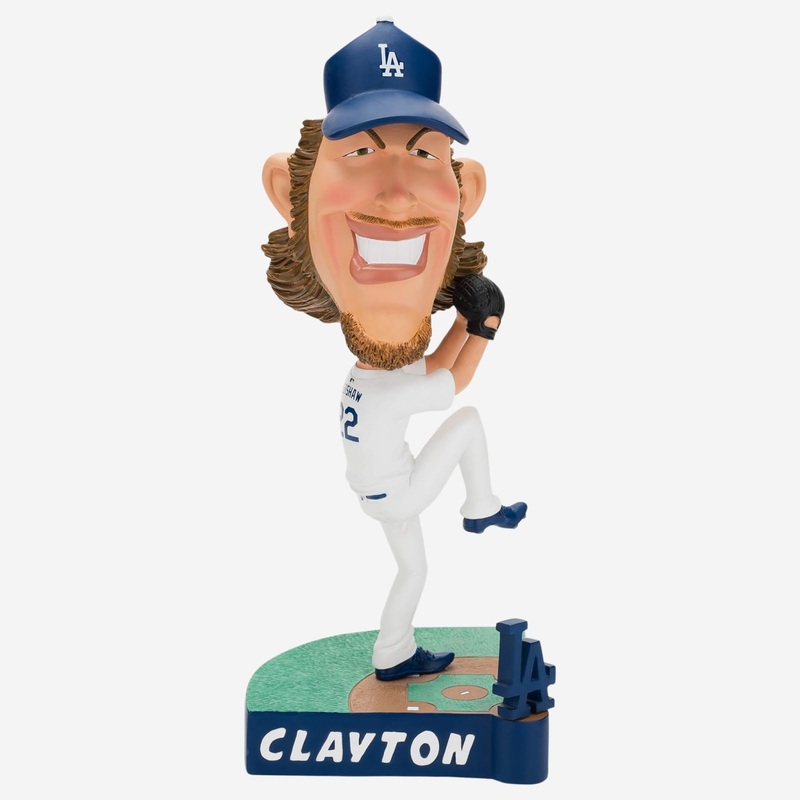 Via Blowout Buzz, Forever Collectibles is offering a new line of Caricature Bobbleheads; including a fun Clayton Kershaw bobble you see on the right. It reminds me a little bit of the Weirdo bobbles from the 60's. Go here to check it out. Per Alden Gonzalez at ESPN; "Die-hard Giants fan Jared Goff is warming up to the Dodgers." "Any time the Giants are playing, I'm rooting for them," Goff said. "But yeah, the year the Dodgers have had has been exciting for the entire city of L.A. There are a couple guys on the team that I am friends with. I'm rooting for them. If their team wins, I'm excited."